Ohio, a pivotal midwestern state for the medical marijuana movement, may again vote on medical pot legalization in November. And strong voter sentiment, coupled with a professional, if last-minute campaign, is increasing the chances that the swing state of twelve million people will vote yes. MPP makes a last-minute 2016 move for Ohio patients. Yesterday the Ohio Ballot Board certified an initiative drafted by Ohioans for Medical Marijuana. If the group can gather 305,591 signatures they will be able to qualify the initiative for the November ballot. Just last year, Ohio voted down an adult-use legalization proposal that included creating a legal cultivation cartel. Ohioans for Medical Marijuana have until early July to gather the signatures — using volunteer as well as paid signature gatherers. Supported by the leading reform group Marijuana Policy Project, Ohioans for Medical Marijuana has the resources, but very little time to make the 2016 ballot. Last year Ohio voters rejected a proposal to legalize pot with a cultivation cartel by a vote of 64 percent to 36 percent. But support for medical marijuana is stronger. In national polls, approximately 80 percent of the public supports medical marijuana. An Ohio poll from Quinnipiac found in 2015 that 84 percent of Ohioans supported “allowing adults in Ohio to legally use marijuana for medical purposes if their doctor prescribes it." And a 2016 poll found that “nearly three out of four Ohioans said access to marijuana for certain medical conditions should be a constitutional right." Advocates say the Ohio proposal is similar to others in 23 states that would allow qualified patients to use, possess (2.5 ounces in public), and cultivate a small number of medical pot plants. State ID cards, and licensed, regulated providers would follow. Local bans on pot shops would require a local vote. 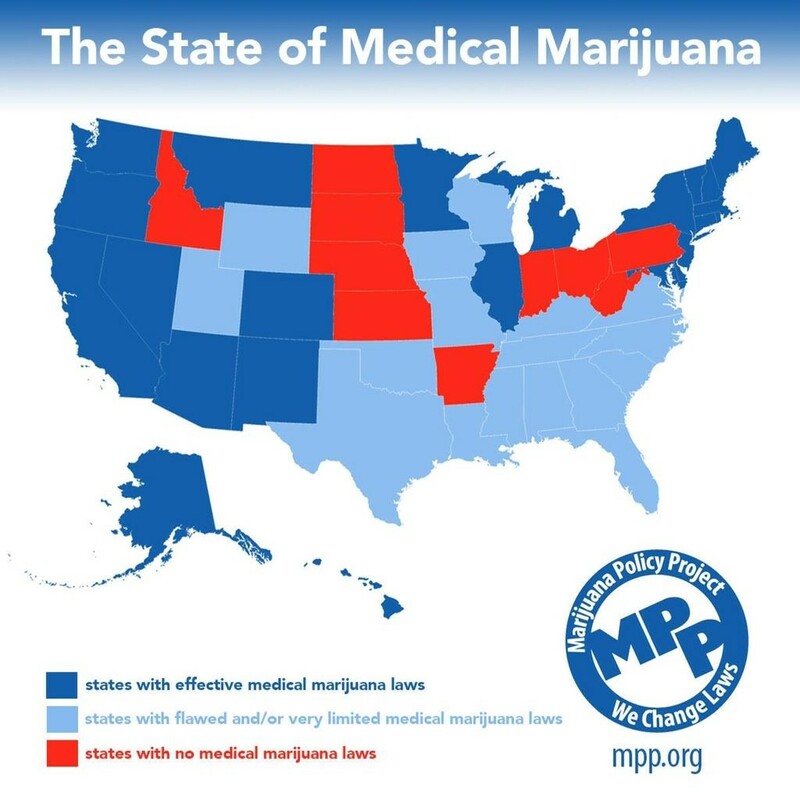 Twenty-three states have legalized medical marijuana, which is federally illegal. Last month, a Brookings Institute Researcher called for national medical marijuana legalization. All 2016 Presidential candidates have promised to, at minimum, take a hands-off approach to state-legal medical cannabis.